The new latest Yealink EHS36 Headset Adapter delivers the practical interface among Yealink SIP-T48G, T46G, T42G, T41P, T38G, T28P, T26P IP telephones and a compatible wireless headset. It is approved for use with wireless models complete by main productions including Jabra, Plantronics and Sennheiser. The unit is easy to connect by a simple link from the EHS36 to the EXT phone port. Its `plug-and-play’ method gives you straight control of your Yealink phone, with the capability to answer and hang-up calls remotely. The Yealink EHS36 Headset Adapter can go an attuned Yealink IP phone into a wireless headset-ready counter phone. The EHS36 is accepted for use with Jabra, Plantronics, and Sennheiser wireless headsets. The Yealink EHS36 offers the border between a well-matched Yealink phone and an official wireless headset. The EHS36 is easy to connect with plug and play ability and in quick time you can control calls from your wireless headset. 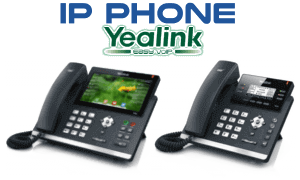 It is compatible Yealink IP Phones with Yealink T48G, Yealink T46G, Yealink T42G, Yealink T41P and Yealink T38G. The Yealink YHS32 is our over-the-head grace headset made for office employees, SoHo and call-center staff. It is obedient with the full variety of Yealink enterprise IP phones and features an good-looking design with big ear-pads, a padded T-bar, flexible steel hairband and 330 flexible microphone boom. It is also ultra-light heaviness at only 50g. This safeguards extraordinary user luxury, even when worn all day. Its ultra-noise cancelling technology recovers outstanding voice quality still further.